7″ Touchscreen Controller with Android OS Platform: control devices in any environment with user-defined digital layouts, menus, and buttons. What is the Tactum 7 Pro? 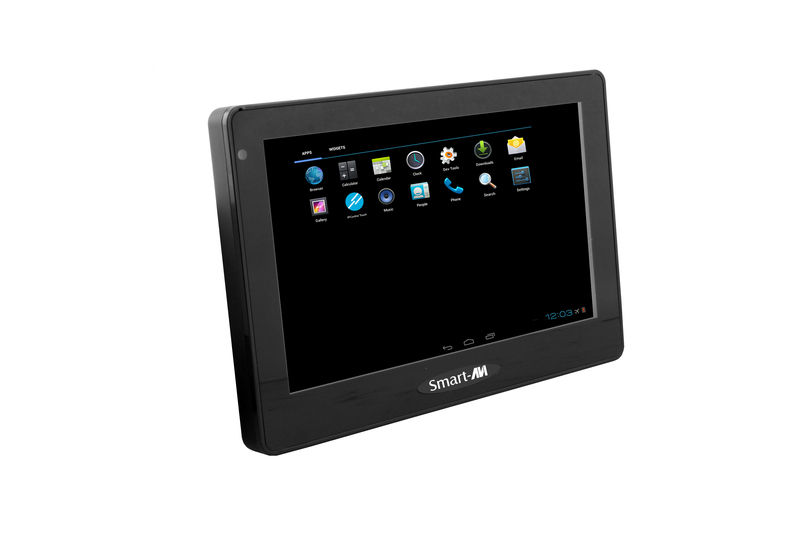 The Tactum 7 Pro is SmartAVI's first ever touch-panel controller unit. This 7" wall-mounting touchscreen solution allows users to control various devices throughout any environment with custom-built layouts, menus, buttons, and sliders. From activating lights to dimming speaker volume, the Tactum 7 Pro offers intuitive remote control capabilities at the tips of your fingers! How can I use the Tactum 7 Pro? The Tactum 7 Pro can mount on any wall and connects to any of SmartAVI's Business & Home Automation controller units via the Internet. You can create the ideal touchscreen control layout via free packaged software, and upload directly to the Tactum 7 Pro from your PC via the web, as well. Create buttons and sliders to control various devices throughout your environment. You can even make multi-tab control menus to organize dozens of connected TVs, audio systems, lights, locks, climate control systems, and more! What are Some Applications for the Tactum 7 Pro? The Tactum 7 Pro excels in a wide variety of environments and applications: its compact, wall-mounting design makes it a great addition to office spaces, showrooms, galleries, spas, classrooms, recording studios, home entertainment systems, and more! It can control air conditioning systems, HDTVs, cable boxes, audio players, alarm systems, energy meters, and lighting. Complete room control at your fingertips!